Area VII "Yes We Can!" New in 2019! We have added AMHR Western Stock Halter, AMHR Roman Chariot, and AMHR and Classic "Golden Age" driving classes. Book your hotel room now! 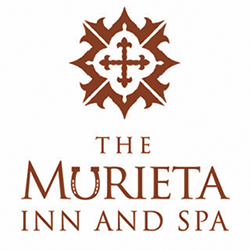 The group rate for our exhibitors at the Murieta Inn & Spa is $139/per night (plus tax) and they have waived the resort fee. Book early, but please be advised that there is a 72 hour cancellation policy. Call the hotel at (916) 354-3900. The group code is "CaliforniaMiniatureHorseShow." Hang your banner in the show arena! For a fee of $25, we'll hang your banner in the arena for the duration of the show. Banners are to be provided by the advertiser and delivered to the show office by 4:00 pm on Friday afternoon. Download the General Sponsor Form (PDF). Class sponsorships received by Friday, March 29 will be included in the show program. All class sponsors will be announced during the class and will be included on signage at the show and on the Area VII Web site. Download the Class Sponsor Form (PDF).